When we flip through photos of blue-eyed celebrities like Reese Witherspoon, Taylor Swift or Miranda Kerr, they're usually wearing the same orange-ish eye makeup. That's because this color, as well as those very close to it, works best for enhancing blue eyes. According to Sephora Pro makeup artist Amy Suchma, people with blue eyes generally fall into three color categories. There's light blue or "icy blue," with hues of light blue and silver; gray blue, with hues of blue and gray and a bit of green, or even a hint of yellow; and deep blue, with hues of dark and light blue. Suchma follows the color wheel and color theory to determine which shades make blue eyes pop. "On the color wheel, the most complimentary color for each hue is located directly across from the targeted color," she says. So you can't go wrong with orange. 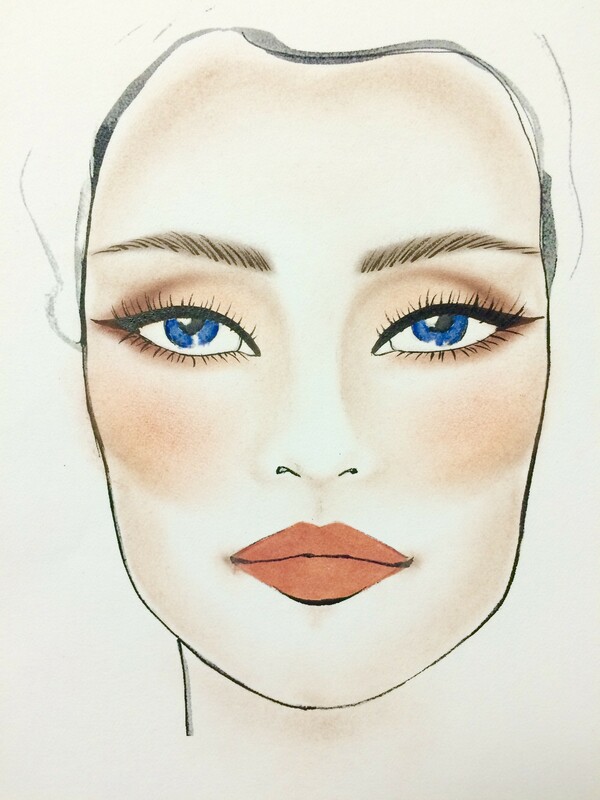 Before you go all wild with your eyeshadows and eyeliners, scroll down to check out Suchma's illustrations and product recommendations for the best makeup for blue eyes. You'll pick up on the intense orange-brown and coral hues that the makeup artist uses to make light blue and gray blue eyes more vibrant. 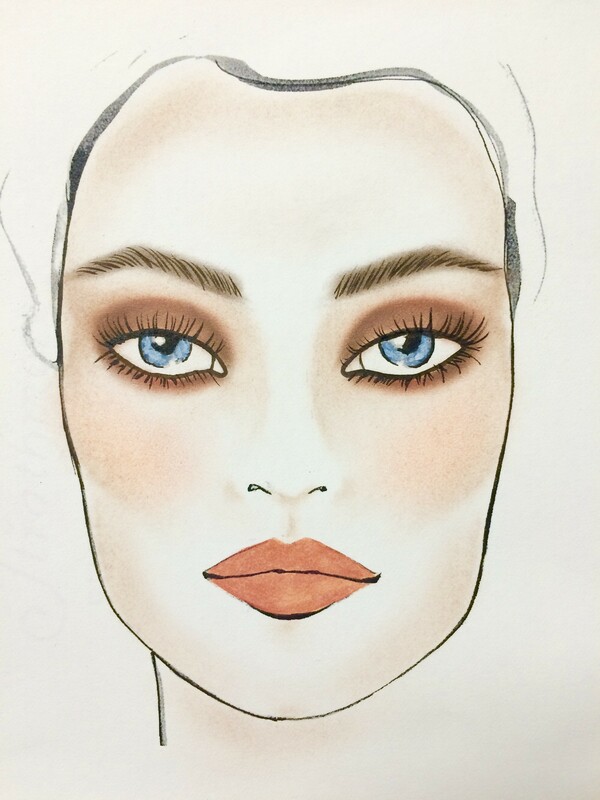 She employs subtle neutral-browns and soft peach/salmon tones for enhancing deep blue eyes. 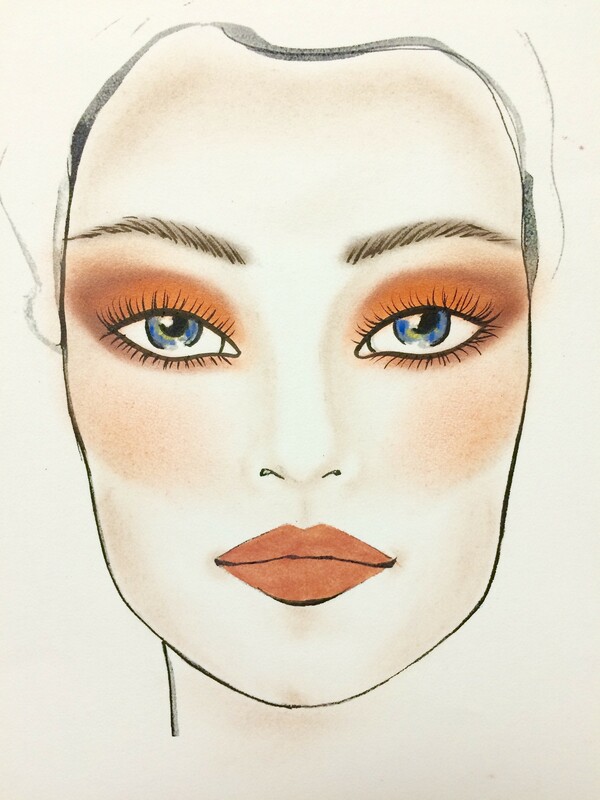 Suchma recommends applying rich, neutral browns and orange-bronze tones to create a smokey eyeshadow look. This will add depth against the lightness of blue eyes for a particularly striking finish. You can easily recreate this look with Urban Decay Smog Eyeshadow, Make Up For Ever Artist Shadow #722 Mandarin, NARS Duo Shadow in Isolde or Sephora Collection Colorful Shadow in #72 Coffee Break. The professional also suggests the Urban Decay Naked Palette, which has all of these shades in one case. Try Make Up For Ever Shadow #734 Tangerine, Kat Von D Monarch Palette or Buxom Single Bar Eyeshadows in It Crowd and Filthy Rich -- all orange-browns and bright orange/coral shades to contrast to bring out the blue tones. "When using vibrant orange tones, my best advice would be to keep the vibrant color on the upper lid and slightly blend a small amount into the brown on the lower lid," says Suchma. "I found that using the vibrant orange on the lower lid without being supported by the brown can leave the eyes looking tired." A dark brown or navy blue liner is a beautiful enhancement to a blue eye, according to Suchma. "Black liner will make blue eyes appear more gray or silver, which is still beautiful but just not more blue," she says. Balance out the dark eyeliners with peach/salmon shadows like Sephora Collection Colorful Eye Shadow No91 Rio and No50 Cashmere Coat, Bobbi Brown Eye Shadow Palette or Surratt Beauty Artistique Eye Shadow in Poudre.